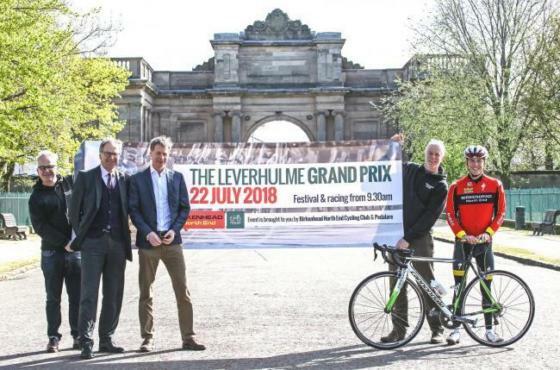 Hundreds of cyclists and spectators descended on Birkenhead Park yesterday (Sunday) for the first ever Leverhulme Grand Prix. The event marked the first time in over 50 years that top-class professional race cycling had taken place on the Wirral. A packed schedule saw races held for juniors, youths, women, para, club and elite cyclists. In total, 161 competitors took part across the day coming from clubs and universities across the UK. The elite race came down to a photo finish with Simon Wilson of Ribble Cycling pipping teammate Daniel Bigham on the line. This year’s event was the brainchild of Pedalare, which promotes cycling as a leisure pursuit, supported by Birkenhead North End Cycling Club, Cycling UK and British Cycling. It built on the rich heritage of amateur racing held over many decades and organised by the cycling club. Leverhulme Estates was the event’s principal sponsor. Other sponsors included Bikeline, FUEL10K and Bike Factory. Andy Mills, of Pedalare, said: “We could not have been more pleased with how the day went. “We still had entries being taken on the morning of the race and, in the case of the juniors and youths, there was a queue outside of the gates to register, handled superbly by volunteers from Birkenhead North End Cycling Club. Michael Benson, Chairman of Trustees at Leverhulme Estates, and Councillor Geoffrey Watt, Mayor of Wirral, were among those presenting prizes to the winners.